Fairburn agate collected east of the Black Hills, western South Dakota; photo by James St. John on Flickr (use permitted with attribution). 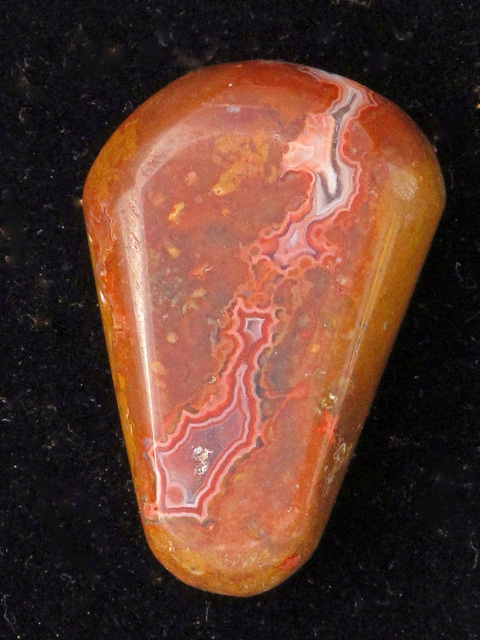 This semiprecious stone was first found near Fairburn, South Dakota. Fairburn agate can be found from Orella, Nebraska, to Farmingdale, South Dakota. 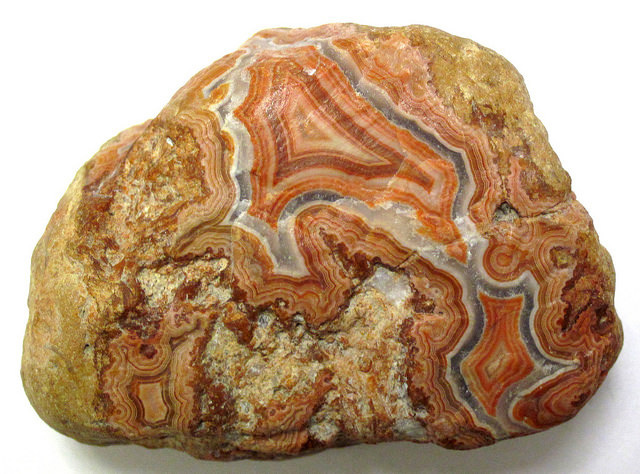 Fairburn agate is used in jewelry and is a favorite of rock collectors. South Dakota also recognizes an official state jewelry (Black Hills gold), and a state mineral stone (rose quartz). Fairburn agate from South Dakota; photo by RocksinMyHead on Flickr (noncommercial use permitted with attribution / no derivative works).